Most precious metals advanced this week. Gold was the exception, but slipped less than 0.1%. Gold futures closed higher Friday for the first time in four sessions, climbing from an almost 10-month low and trimming their weekly loss to just 60 cents. Gold for February delivery rose $8.40, or 0.7%, to settle at $1,177.80 an ounce on the Comex division of the New York Mercantile Exchange. “The market is still thinking a December hike is very likely, which has already factored in, and that’s why gold is not really moving,” Reuters quoted Natixis’ precious metals analyst, Bernard Dahdah. Gold futures dropped less than 0.1% this week, the lowest of their four straight weekly declines. On Thursday, the yellow metal closed at its lowest level since Feb. 5. Prices are 11.1% higher on the year to date. "Twenty Wall Street analysts and traders took part in this week’s survey. Twelve, or 60%, called for gold to rise. Five, or 25%, were bearish, while the remaining three, or 15%, were either undecided or expected prices to be flat. Meanwhile, 1,070 Main Street participants submitted votes in either an online or Twitter survey. A total of 622 respondents, or 58%, said they were bearish for the week ahead, while 354, or 33%, were bullish. The neutral votes totaled 94, or 9%." Ending higher Friday for the fifth time in six sessions, silver for March delivery advanced 32.6 cents, or 2%, to $16.832 an ounce. Silver futures rallied 2.2% this week after three straight weekly declines that brought prices down by a combined 10.4%. They are 19.3% higher so far this year. January platinum tacked on $21.40, or 2.4%, to $932.70 an ounce, for a 2.7% weekly increase. Palladium for March delivery declined $6.20, or 0.8%, to $745.50 an ounce, but edged up 0.6% on the week. Both metals are higher so far this year with gains of 4.4% for platinum and 32.7% for palladium. 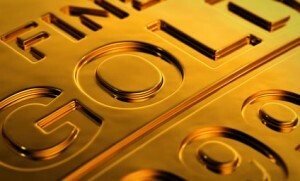 Gold added $11.65, or 1%, to $1,173.50 an ounce. Silver gained 5 cents, or 0.3%, to $16.35 an ounce. Platinum rose $12, or 1.3%, to $918 an ounce. Palladium fell $24, or 3.1%, to $743 an ounce. In their weekly changes, platinum and palladium gained by 1.3% and 1.9% while gold and silver declined by 1.2% and 0.6%. Gold coin sales advanced 38,500 ounces after rising 30,500 ounces previously. This week’s splits include 32,000 ounces in American Gold Eagles compared to 27,500 ounces previously and 6,500 ounces in American Gold Buffalo compared to 3,000 ounces previously. Silver coin sales totaled 150,000 ounces, with some negative adjustments, after rising 756,000 ounces previously. This week’s splits include 175,000 ounces in American Silver Eagles compared to 690,000 ounces previously and a negative adjustment of 25,000 ounces in America the Beautiful Five Ounce Silver Bullion Coins compared their previous increase of 66,000 ounces. In related news, the U.S. Mint announced that its suite of 2017-dated bullion coins will launch on Jan. 9. Below is a sales breakdown of U.S. Mint bullion products with columns listing the number of coins sold during varying periods. Products with an asterisk (*) are no longer available.